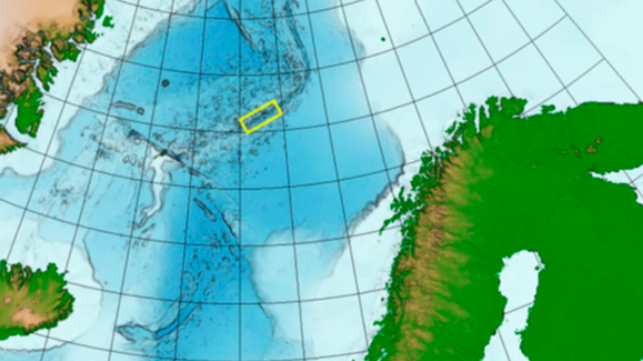 The Norwegian Petroleum Directorate is readying to map potential deep sea mineral deposits in the Norwegian Sea, with an expedition due to get underway this month. The Directorate has engaged Swire Seabed, which partners with Ocean Floor Geophysics, to carry out mapping of potential sulfide minerals on the seabed over the Mohns Ridge in the western Norwegian Sea. This is a spreading ridge in the Atlantic Ocean that separates two oceanic plates, where potential valuable minerals have been formed through hot volcanic sources. The focus of the expedition is not the active hydraulic systems such as “black smokers,” but rather non-active extinct systems that are now left as mineral-rich piles of gravel on the seabed. The mapping will be carried out using an autonomous underwater vehicle, a Kongsberg Hugin AUV, which will map the seabed using a bottom-penetrating echo sounder, multibeam bathymetry, synthetic aperture sonar data, magnetometry and spontaneous potential field data. After the data is processed on board, mineral samples will be taken from the seabed where the data indicates the presence of deposits. Sampling will be carried out using an underwater remotely operated vehicle with a depth capability of 3,000 meters (9,800 feet). Earlier studies by the Norwegian Research Council have indicated that the region could contain resources worth as much as $110 billion. Around 6.4 million tons of copper metal in addition to zinc (6.5 million tons), gold (170 tons) and silver (9,901 tons) have been estimated to be present in the region. Rising demand for minerals and metals, including for use in new technology, has sparked renewed interest in seabed mining. Since 2001, the International Seabed Authority has issued licenses to approximately 30 government and private organizations to explore 500,000 square miles of the deep sea outside national jurisdiction for minerals. This increasing interest in seafloor mining globally has drawn some criticism. Despite the term “mining,” much of the activity would involve extraction of minerals over very wide areas of the sea floor rather than digging down to any great depth, potentially leaving a vast footprint on the deep-sea habitats in which these mineral deposits occur. Earlier this year, a study by the University of Exeter and Greenpeace warned that mining on the ocean floor could do irreversible damage to deep sea ecosystems. The deep sea (depths below 200m) covers about half of the Earth’s surface and is home to a vast range of species. Little is known about these environments, and the researchers say mining could have “long-lasting and unforeseen consequences” not just at mining sites but also across much larger areas. I think this is an interesting initiative and should be explored further by the government.